Just as many children in the U.S. enjoy eating peanut butter and jelly sandwiches, peanut butter is a regular nutritious snack for Haitian children and adults. Peanuts represent an important industry in Haiti, where nearly 150,000 farmers produce roughly 70,000 metric tons of peanuts annually. A thriving peanut processing sector employs an estimated 500,000 Haitians, most of them women. 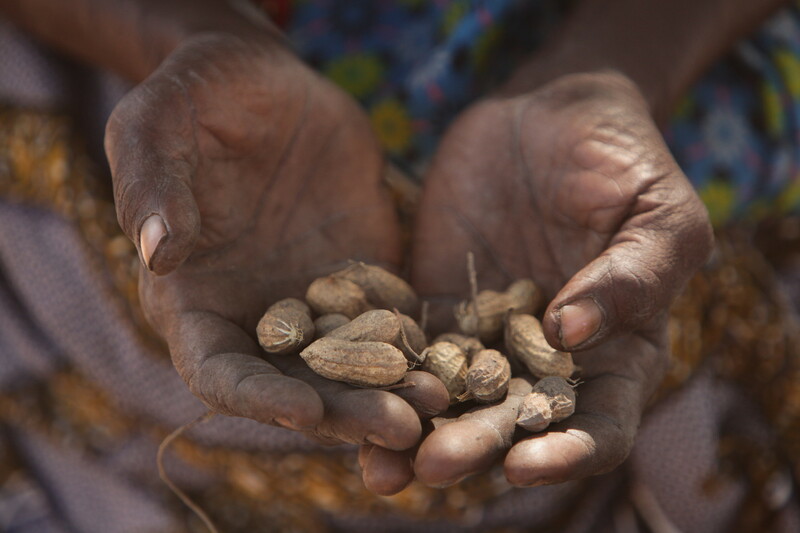 In recent years, the United States Agency for International Development (USAID) has supported a range of projects to increase food production and market access in Haiti, including the cultivation of peanuts. So when the U.S. Department of Agriculture (USDA) announced a decision to send free peanuts to a country where peanuts already sustain many livelihoods, it did not add up. The USDA plans to ship 500 metric tons of surplus U.S. peanuts to Haiti to supplement school nutrition programs. While this sounds like a good idea, it overlooks underlying economic issues, trade policies and the effects of climate change precipitating Haiti’s current hunger crisis. For decades the U.S. has helped shape policies that have had a crippling effect on Haiti’s economy. In the 1990s, the Haitian government was heavily pressured by the international community, led by the U.S., to all but eliminate the tariff on imported rice. This made foreign rice cheaper than domestically-produced rice, and many Haitian farmers were no longer able to sell their staple crop. The effects are still felt today. Oxfam America reports that Haiti was self-sufficient in rice production and consumption in 1980; today, Haiti imports 80 percent of its rice and 60 percent of its overall food supply. Observers fear the peanut plan will only weaken Haitian agriculture further. To help address immediate hunger in Haiti, food aid should be purchased locally. This helps relieve hunger while also providing revenue for farmers and small businesses. Local purchasing of food and supplies has become a vital tenet of Mennonite Central Committee’s (MCC) own disaster response programs. Although the peanut shipment is alleged to be a comparatively small portion of Haiti’s peanut production, history speaks volumes. As with all food assistance and food security projects, the U.S. should support local purchasing and prioritize a model of cooperation that promotes food security, respects food sovereignty, and increases Haiti’s economic independence. Charissa Zehr is Legislative Associate for International Affairs at the MCC U.S. Washington Office. Originally published on May 27, 2016. Reprinted with permission from Third Way Cafe.